When an unauthorized visitor tries to access your premium content that you've protected in DAP Products Page => ContentResponder tab, they're going to see an error page. You can fully customize the contents of your error page. 1. DAP products page -> Error Page URL (this is a product level setting). Here's how DAP figures out the right Error Page URL for protected content. 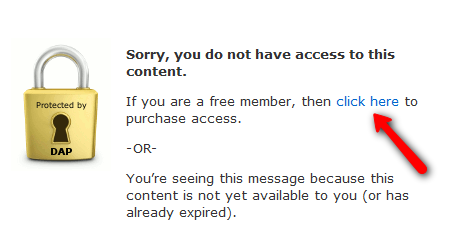 If the content is protected under just one DAP product, then that product’s "Error Page URL" settings will apply. If the content that user is trying to access is protected under "more than 1 DAP Product", then DAP uses the global error page URL setting (under Setup > Config > Error Page URL). To keep things simple and less confusing, you can leave the product level "error page url" field empty. This way, DAP will always use the global setting. How to customize your Error Page content. 1) Display an "In-Page Error Message"
You can show users the standard DAP error message, or you can customize the message and add your own text. If you want to display the standard dap version, just leave the error page fields in DAP to the default value (/dap/product-error.php). If you want to customize the error message, please refer ﻿this ﻿post. 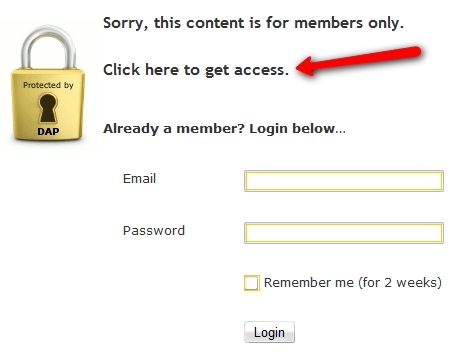 Users can be redirected to any error page of your choice (WordPress page or post, or a completely non-WP page). So you can design an error page in wordpress, have whatever content you want on that page, and configure DAP to always send users to this error page when they try to access protected content. 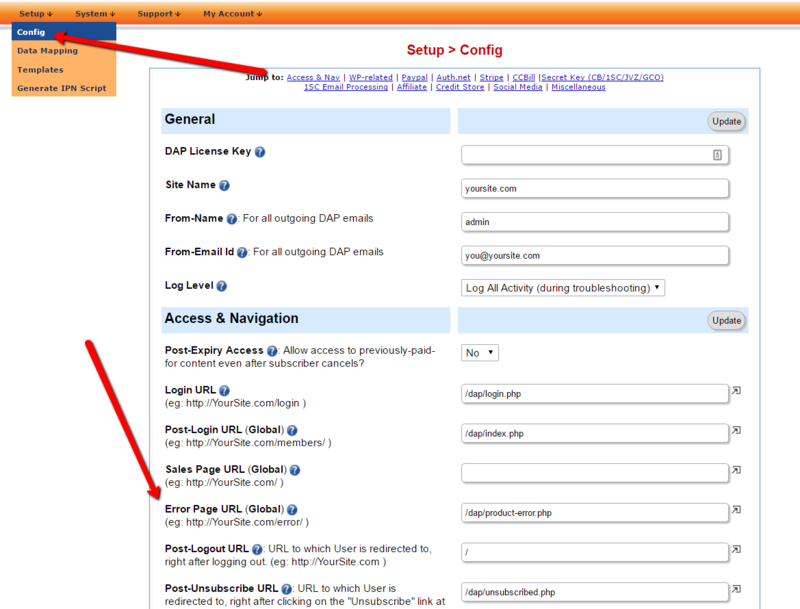 Just set the URL of your error page in DAP setup -> config page -> Error Page URL field. 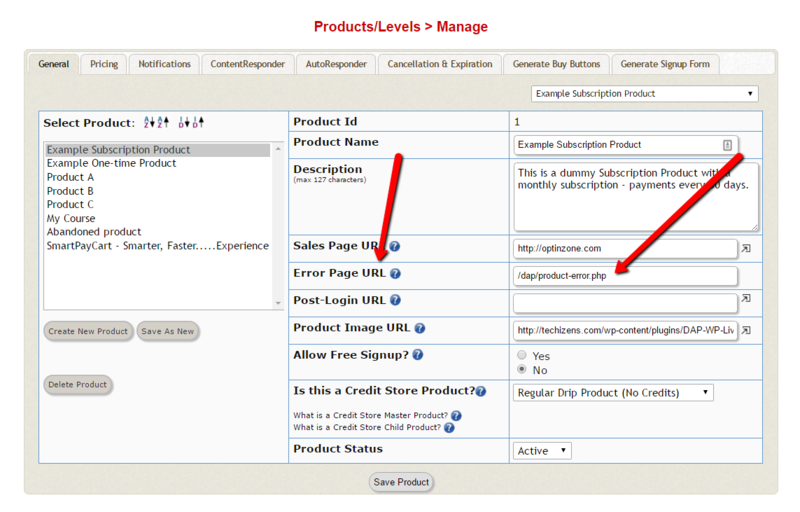 And empty out the content of "error page url" field in DAP products page for all of your products. This way, anytime users visit protected pages to which they don't have access, they'll always be redirected to your customized WP error page. Refer this post for more details.